A monthlong manhunt came to an end after Prince George’s County, Md., police nabbed the man wanted in the killing of a 3-year-old Washington, D.C., girl, NBC Washington reports. 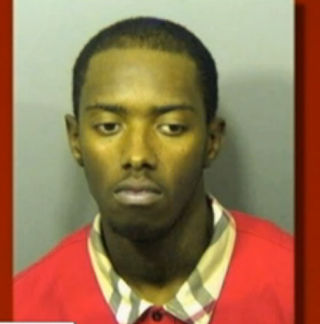 Davon “Dro” Wallace was arrested early Tuesday morning in southeast D.C., the news station notes. According to the report, the chase started in early August when Wallace, 25, got into an altercation over clothes at a residence. Wallace left the home and then returned with a gun, shooting several times into the building, the news site reported. Knijah Amore Bibb, who was visiting her cousins at the home, was struck by one of those bullets and died as a result of her injury. Wallace’s target, a young man in his late teens, was not at the house at the time, the station reports. The little girl would have celebrated her fourth birthday this month. Wallace is being charged with first-degree murder. He was also under warrant for unlawful flight to avoid prosecution, NBC Washington reports.